Anthony Daly (left), Anthony Cunningham (centre) and Mattie Kenny (right). DUBLIN’S kingmakers will wait until after the county hurling final on Sunday, October 21 before announcing a new senior hurling manager. It is understood that all relevant candidates have now been contacted by a representative of the Dublin county board’s management committee in order to gauge interest. Currently, the management committee are mulling over their options and their intention is to confirm the new man soon after the club decider between Kilmacud Crokes and Ballyboden St. Enda’s in Parnell Park in two Sundays’ time. Three candidates; Mattie Kenny, Anthony Daly and Anthony Cunningham are thought to be leading the running. The management committee have been granted the authority by the county committee to anoint Pat Gilroy’s successor themselves, forgoing the requirement for a full board meeting to ratify the appointment, thus expediting the process. Unlike last year when Gilroy was appointed, however, there does not appear to be any outlier in the race. Kenny is understood to be interested again in the job he was passed over for last year when Gilroy was preferred and the removal of the complication of Cuala’s presence in the championship by virtue of last Sunday’s Dublin semi-final defeat to Crokes is an unintended but convenient boon for his candidacy. Also in his favour is the fact that a number of the current Dublin squad are believed to favour his appointment and are expected to express their preference both to Kenny and the relevant decision-makers in the Dublin County Board. Cunningham is also keen and was present in Parnell Park last Sunday as Daly’s Crokes team ended Cuala’s remarkable run of recent success. Though Cunningham’s stock fell dramatically when the Galway players he took to two All-Ireland finals agitated for his removal in 2015, he was widely praised for his coaching work with the Dublin hurlers this year under Gilroy’s management. However, despite intending to keep Gilroy’s backroom team in tact and thus offer continuity, the Herald understands that members of that management group have opted not to put their names forward with Cunningham in any new setup. Daly, meanwhile, has come sharply into contention in recent weeks although currently unknown are both the Clareman’s levels of interest in the job and the willingness of those charged with filling the position in a second coming for Daly in Dublin. On Sunday, he broke off his post-match interview with the gathered media in Parnell Park before that question could be put to him. Daly has always maintained his wish to do at least one more county job although a return to Clare was always considered a greater possibility. However, it is expected that the current Banner management duo of Gerry O’Connor and Donal Moloney will be reappointed for a third year at next month’s county board meeting and Daly’s work in bringing Crokes to their third county final in succession and beating the reigning All-Ireland club champions won’t have gone unnoticed. 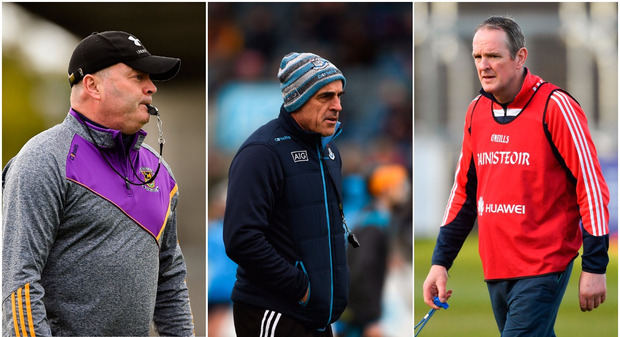 Whether there has been enough separation between Daly’s last stint - when he led Dublin to a first NHL1 title in 72 years and a first Leinster SHC crown in 52 years - and a potential new one is sure to be one of the factors management committee are considering. Daly had an extremely strong relationship with the panel prior to his exit in 2014, after which he took over as Director of Coaching at the Limerick hurling academy, where he spent three years. However, the squad has undergone major change since then and he would, if appointed, be inheriting mostly a completely different group of players to the one he left four years ago. Of this year’s squad, only Ryan O’Dwyer has so far retired. And though Gilroy maintained that everyone else had indicated a willingness to commit for 2019, there may be a change of heart from some of the older players after his surprise decision to step down last month citing work commitments.